TLC continues to be fabulous. Recently, the network announced they’ve ordered more episodes of My Big Fat Fabulous Life. The docuseries follows Whitney Way Thore, a 370-lb. woman dealing with the ups and downs of life in North Carolina. Coming off the show’s highest-rated season ever, TLC has ordered 14 additional episodes of My Big Fat Fabulous Life, which will air in early 2017. (Silver Spring, MD) – TLC announced today that it has ordered 14 additional episodes of MY BIG FAT FABULOUS LIFE, which are set to premiere in early 2017. Thus far season three averaged 1.4M P2+ viewers and a 1.1 W25-54 rating, making it the highest rated season ever. MY BIG FAT FABULOUS LIFE follows the dynamic life of 370-lb. Whitney Way Thore and shares the unforgettable events of her life; from breakups with her boyfriend to breakups with her trainer and the friendships that fall in between, Whitney’s days are never dull. Production has begun in Whitney’s hometown of Greensboro, North Carolina. New episodes will return in early 2017. What do you think? Do you watch My Big Fat Fabulous Life? Are you glad there will be more episodes? More about: My Big Fat Fabulous Life, My Big Fat Fabulous Life: canceled or renewed?, TLC TV shows: canceled or renewed? this girl is by far the most entitled person i have ever seen, she has the world greatest parents and she is so nasty to them. the trip to Hawaii with all that drama was to ensure her poor father never put her in the position of getting fit again, she laughs and that poor man will remember her drama screams for ever, she should hang her head in shame. she treats every one as if they are her slaves, i do not understand why her friends stay with her, she is full of excuses for her pathetic life. 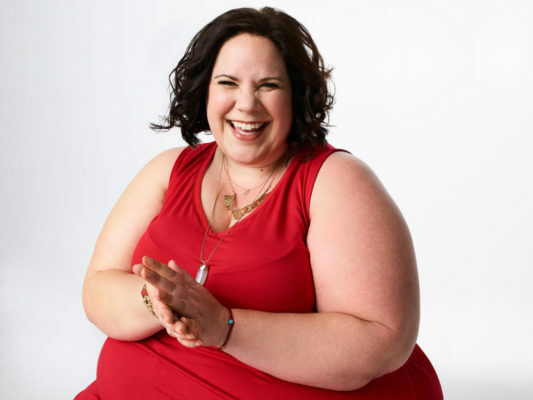 Whitney Thore should do an appearance on My 600 pound life and meet with Dr. N.
The show should be cancelled….. I absolutely love this show; hopefully more episodes will be made after the early 2017 shows are done. Absolutely! Love Whitney and the show.